Whether you’re looking to revamp or start from scratch, your business website is your biggest marketing tool. Here’s how you can decide the best CMS for a company website in 2018. If 2018 is the year your company gets a new website, it’s not easy to decide which content management system is best for your business. There are dozens to choose from! So how do you know which is the best CMS for a company website? You don’t, right? That’s why you’re here. We understand that choosing a content management system for your company website is a big and a difficult decision. As a leading NYC web development company, we’ve tried and used many different CMS platforms. We know what works and what doesn’t. By the end of this blog post, you’ll know exactly which CMS platform you should use and which you should run a mile away from. What makes a good CMS for business websites? There are a number of different features that make a good CMS. 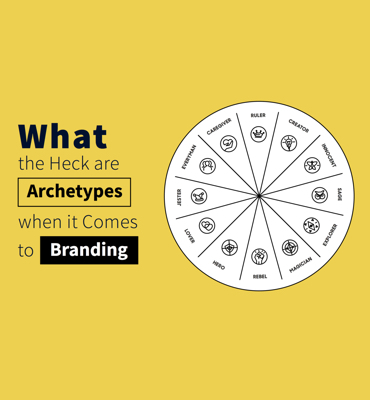 From usability to customization, having a website that works for all your user personas is key. 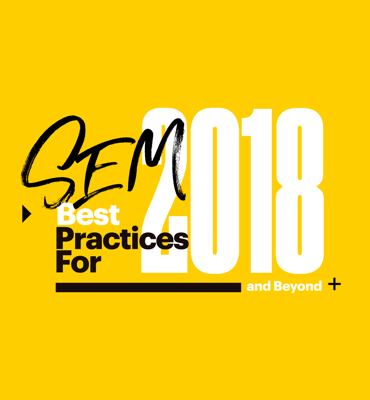 Here’s what we recommend you look for in your content management system for 2018. A good CMS should be easy for all of the user groups: website admins and visitors alike. You don’t want to have to pay your web development agency a fee every time you need to update the website. You want to be able to do it yourself. And in most companies, it won’t be just one person’s responsibility to update content. That responsibility will fall on several people. As a result, the content management system should be so intuitive that anyone can use it without a lot of training. A WYSIWYG (What You See Is What You Get) editor is a must. This provides users with a visual display of the page and text that they will be editing. What you do with your website should not be limited by your Content Management System. And the fact is, businesses want to do more with their website than ever before. A survey by Clutch.co found that better content and increased mobility are the top priorities of 2017. 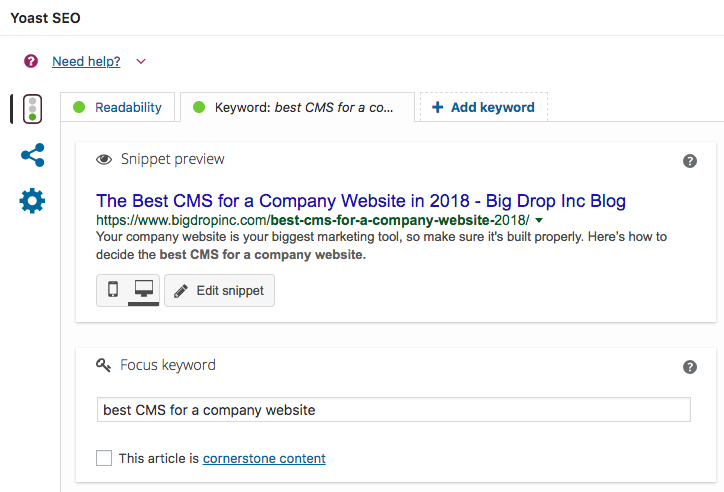 So if your company suddenly experiences significant growth that requires you to add dozens of new web pages, your CMS should allow you to do this easily. If you want to change the design of your company website, your CMS should let you do that easily, too. When you choose a CMS, you want to be able to depend on it for years to come. Changing the design of a website isn’t that hard, but changing a CMS and keeping all of your content can be. That’s why it’s so important that your CMS is able be as fluid as your business is. As easy as your CMS may be to use, problems are bound to occur. When they do, you’re going to want to have a great support network to fall back on. Sure, you could rely on your web development agency, but they may not respond quickly enough and they may charge you to fix the issue. A lot of the time, the issue will be small enough for you to fix yourself with a little guidance. A great CMS, then, should also have a great support network. This means that it should be used by a lot of people and have several blogs and forums dedicated to it. When it comes to getting traffic to your website and gaining new customers, Google is king. The search engine accounts for 90% of all website traffic. That’s a staggering amount of traffic you are missing out on if your website doesn’t appear in Google. While links have a lot to do with your ranking, so does the way in which your website is built. The more SEO-friendly your CMS is, the better your chances of you ranking highly. Website security is more important than ever. Hacked websites increased 32% in 2016, and some sources suggest that 30,000 websites are hacked a day. The chances of getting hacked have never been higher. That means you need a secure CMS that is regularly updated. Bonus points, if cybersecurity firms provide a dedicated service for the CMS that you use. Now, you could pay a developer to build a custom CMS that includes all of these features. But that could get expensive, fast. Luckily for you, you don’t have to waste the time and money to create the perfect content management system. There’s a system that already exists that has almost everything you’re looking for. 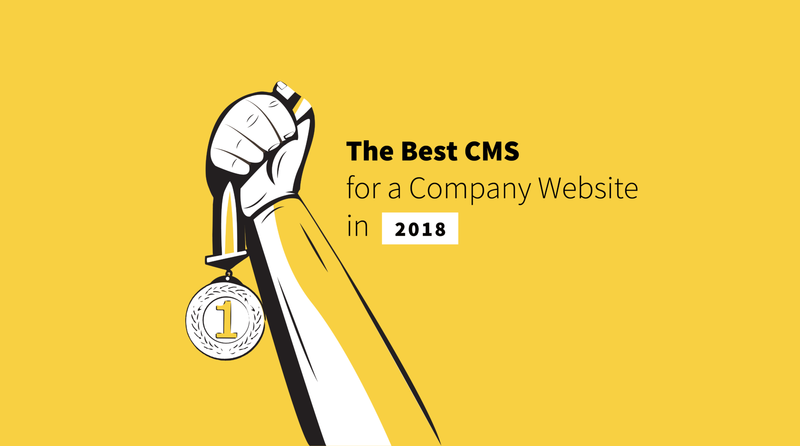 In fact, we think it’s the best CMS for a company website in 2018. Hands down, WordPress is the best CMS for almost all companies in 2018. It may have started life as a simple blogging platform, but now websites like The New Yorker rely on WordPress as a content management system. One of the best things about WordPress is that it is free for anyone to use. As an open source platform there are no licenses needed and nothing for developers to pay. This may seem irrelevant for a business that is going to pay a web development agency to design a website for them anyway, but it also means that WordPress is used by other businesses. 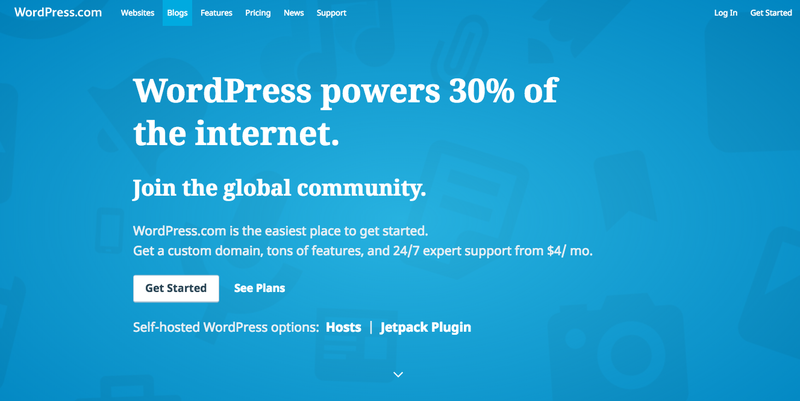 In fact, 30% of the websites in the world are powered by WordPress. It also means that there is a huge community of WordPress users, hundreds of WordPress blogs and dozens of forums. If you have a problem with WordPress, you’re almost certain to find the answer online somewhere. WordPress is built to grow with your business. It is probably the most versatile and customizable CMS in the world. Aside from the thousands of themes that are available to get you started, WordPress has over 55,000 plugins that can be used achieve almost anything. From adding a contact form to uploading your Instagram feed, if there’s something you want to do with your site, there is probably a plugin for that. And don’t worry about getting your WordPress site to rank, either. Although you’ll still need help from an SEO agency, WordPress is built to be as SEO-friendly as possible. The platform also comes with several plugins designed to help you optimize your website for SEO. Finally, because it is such as a popular and widely used content management system, there are no shortage of web developers available to help you design your company’s new website. We take advantage of Yoast and you probably should too. While WordPress is a great choice for almost any kind of company, there is perhaps a slightly better choice if you are an online store. 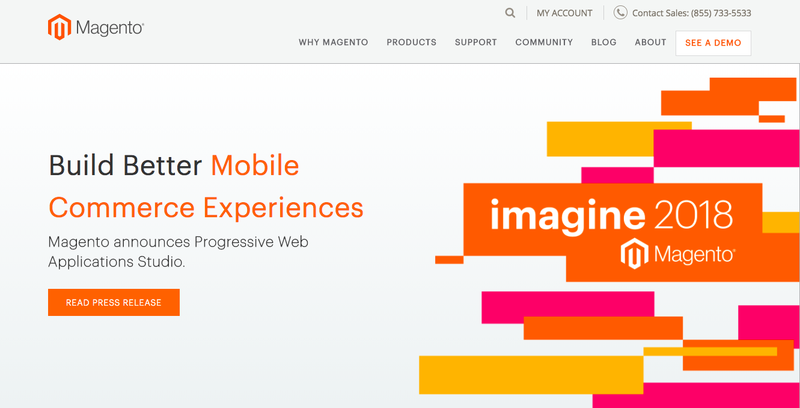 WordPress does have a number of plugins that lets users create an online store, but Magento offers a CMS that has been specifically designed for Ecommerce. Like WordPress, it is an open source platform that anyone can use. Also like WordPress, there is a huge support community that are on hand to answer almost any question you have about the software. Because Magento is widely used, many developers and website design agencies will be able to build a site specifically for it. This also makes it easy for companies to upgrade their website or to switch developers should they need to. As good as WordPress and Magento are, you don’t have to use either of them. It’s up to you which CMS you choose or whether you chose to build your own. What we do urge, however, is that you don’t use one of the platforms below. 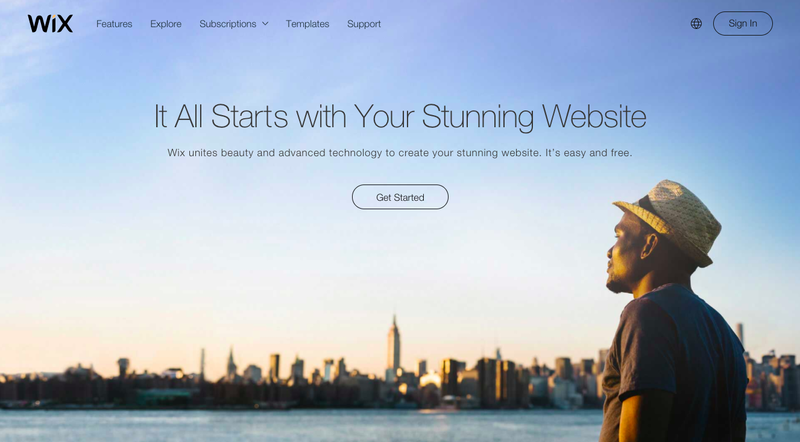 Squarespace isn’t so much a CMS platform as a SaaS platform. You pay a monthly fee for everything that you need to build a website. The problem is, that the website you build isn’t really yours. It belongs to SquareSpace and it will go as soon as you stop paying the monthly fee. So you don’t actually own the content. What’s worse is that the services can be terminated at any time. This hardly makes it a sustainable solution for businesses. There are a lot of other issues, too. Because you don’t actually own the site, you also can’t move it. This makes it useless for any business that may want to change or expand their website in the future. It can also be very slow to load, leading to poor usability. No one likes a slow website, after all. What’s more, it’s not very customizable, either. 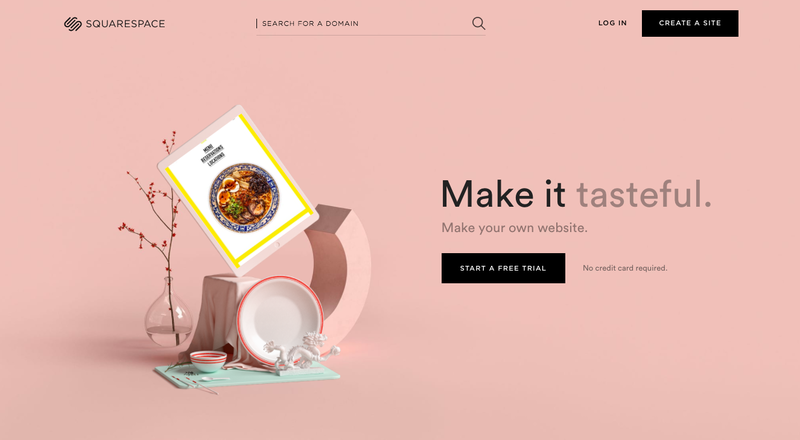 SquareSpace comes loaded with templates but there are few options for customization. 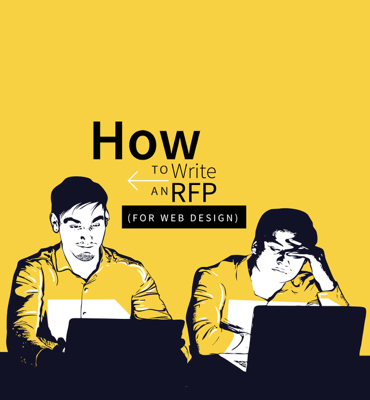 Despite being easy to set up, no self-respecting company should build their website on Wix. There is no shortage of reasons why, Firstly, Wix websites are designed using templates. While this is similar to what can be achieved on WordPress, there are no customization features. That means that you have a website that could look just like everyone else’s. Wix is also limited from an SEO standpoint. It is hard to optimize your website as much as is needed to achieve decent rankings. Wix also offers little in the way of scalability. And it’s virtually impossible to move your website away from the platform. That means when your website outgrows Wix, there’s nothing you can do apart from to build a new website. Finally, and perhaps worst of all, there is a real lack of professional advice. Very few web development companies or digital marketing agencies will be willing to work with the platform. Building a new company website in 2018? We’d love to help! At Big Drop Inc, we’ve built and designed dozens of awesome websites for amazing clients. We take our work seriously and our proud of what we create. If you’re curious, you can check out our latest designs in our portfolio. If you like what you see, we’d be more than happy to offer a quote for new website. Get in touch today, and we’ll get back to you with a custom quote as quickly as possible.